In Northern California, you’re pretty lucky. You can go do a track day all year round. Sure, in the winter it could rain, but none of the tracks shut down for the season and you can get out there all year long. There are a number of organizations which host track days, so on almost any weekend there’s a place you can let it rip. Closest to San Francisco is Sonoma Raceway, previously known as Sears Point or Infineon. Located 15 minutes south of the town of Sonoma at the beginning of wine country, this is a well-known track which has hosted many professional races including IndyCar. It’s a twisty track with lots of elevation change adding to the challenge. A bit more than an hour south of San Jose, just east of Monterey lies Laguna Seca Raceway. This very famous track has hosted even more professional races than Sonoma and also is the venue for a number of auto racing gatherings or events like the historic races in August and Porsche’s Rennsport Reunion. 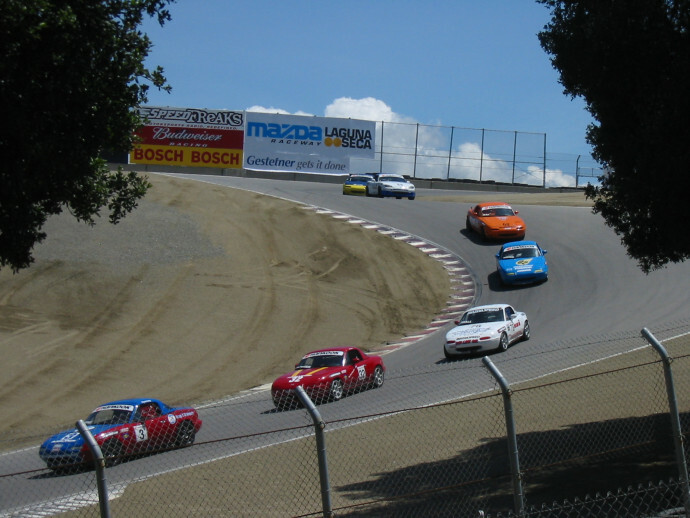 The track features one of the most famous turns in all of motorsports, the “corkscrew” (pictured,) a steep downhill left right combination that’s blind on entry. A very fun track, but some road cars have issues with being too noisy, so be sure to check what the noise limit is for the track day (they vary) and whether your car will pass. Thunderhill Raceway is the home of NASA and lies an hour-ish north of Sacramento, just a few minutes off I-5. This is a great track with a lot of runoff area and has a number of configurations. The classic one is the original western side, with or without the bypass, and in recent years the newer eastern side has become popular too. Check which side has the track day is being run on - opinions vary on which is better. Our take is that any day on the track is good day, so just get out there. Depending on the car, you can get near 140 mph on the main straight on the western side and then do a hard brake for turn 1. Buttonwillow is arguably not in NorCal, but it’s an easy drive for anyone that’s closer to I-5. Literally seconds off an exit near Bakersfield, this track has a number of available configurations. It’s very flat track so off-camber turns are not much of a factor, but it's pretty wide open and has a lot of runoff as well, making it a great place to learn. This is kind of the granddaddy of them all, continuing to do a really great job of getting drivers of all skill levels and experience out on track. NASA NorCal is the local chapter of the nationwide NASA organization. On any given weekend you will see novice and intermediate drivers looking to improve their skills from NASA's HPDE program to time trial and fully prepped race cars competing for points and aiming for that win at the National Championships set every year in September. The days/weekends are called HPDE, High Performance Driving Event, and tend to be well structured. For example, check rides are often required to progress up to higher groups to make sure you know what you’re doing once you get to more open passing environments. After each session weather its HPDE, Time Trial, or Racing there is a mandatory "Download Session" that brings together the drivers of that group to discuss anything that went on during the previous session. NASA takes safety very seriously and strongly believes in creating a positive atmosphere for all drivers. If any NASA or Track official observes unsafe drivers during NASA events, the drivers are given various opportunities to correct any negative behaviors on the track which ultimately helps make them a faster, safer driver. That said, we’ve also experienced unsafe participants rightfully get kicked out of the weekend altogether, which provides a lot of comfort that this is a safe way to track your car. Recently there’s been a change in how the groups are organized, with the overall idea of giving everyone much more access to track time, from novice to track day junkie. 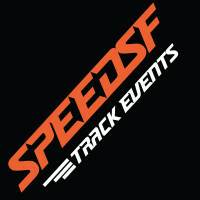 Growing every year with more events and more sponsors, Speed SF provides some of the most track days available in NorCal. Running 4 simple groups - Beginners, Low Intermediate, Low Advance/High Intermediate & Advance/Open (A, B, C & D) - our experience has been moderate car counts giving you lots of space to maneuver. This is one of their specific goals: limiting groups to 20-30 cars depending on the track. There are some serious drivers in the higher C & D groups, going as far as a real-deal LMP3 car in D, yet we’ve seen group A & B extremely welcoming to beginners. Coaches are provided at nominal charges. For more advanced drivers there are a few programs where lap times are tracked with an official timing device and this could let you win tires or other prizes. The group is generally focused on northern California, going only as far south as Buttonwillow. One of the older run groups, starting in 2004, Hooked on Driving is very focused on teaching driver safety, specifically stating they are not “Hooked on Racing.” HOD events are focused on quality track time for Beginners through Advanced group drivers – with a focus on cooperative driving, there is less drama, less down time, and more customers driving home after a clean day on track. There are no programs that encourage competition and no lap timing, unless of course you use your own device. The focus instead is on safety, coaching, learning and fun. Drivers are able to experience their car at a higher level than possible on public roads, in particular being able to react to unexpected situations better. You will learn the capabilities, strengths and weaknesses both of you, the driver, and your car. The days are split in the standard A, B, C & D rungroups fashion with D being race-prepped cars, though still requiring point-bys to pass. HOD is focused on northern California with the classic trifecta of the tracks that are within 2.5 hours of San Francisco. There are newer HOD chapters in other regions of the US as well now. A newer organization in NorCal active on most tracks in California, OnGrid runs track days which can appeal to higher level drivers with their somewhat less restrictive passing requirements in higher groups. Split into 5 different run groups, even group 3 already allows unlimited passing on straights and point-bys in corners. For beginners or anyone looking to improve their skills, every single event also has a very intuitive beginner program with instructors that have been trained by OnGrid's lead instructor and management. Groups 4 and 5 are both advanced group, just separated by the speed of the cars. This is great for someone who drives at an advanced level, but may be in an underpowered car like a Miata. It is no fun constantly getting passed by less skilled drivers in Porsche and Corvettes. Because it’s a newer group, there is a somewhat more collegial feeling and car counts tend to be very reasonable. For new drivers, coaching is available for run groups 1, 2 & 3, which we greatly encourage. Their are also private coaches for more advanced coaching including car setup and data analysis. While OnGrid provides a lot of NorCal track days, they are a California-wide organization which also host many SoCal as well. NCRC has a number of years of experience in driver education and creating quality affordable track day events. With a cheap annual membership of $40 or an extra $10 per event, you get event prices ranging from $99 to $199. This group could be a good first track day for novices given the intensity of the driver education program. For the first track day, there are three classroom sessions and two corresponding track exercises for learning how to drive the line. Different from most other groups, instructors are not passenger; instead they drive their own car to guide the exercises. There is also a separate but related racing group called American Racing Club (ARC), which provides a no-contact-allowed racing environment. Make sure to check exactly what is being offered at each event when you sign up, since this group also provides motorcycle track days. 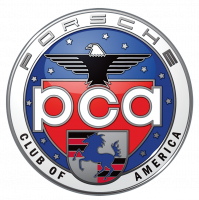 Obviously geared towards Porsche owners, the PCA (Porsche Club of America) generally allows non-Porsche cars into their events, like most other brand affinity-based groups. We don’t have any direct experience with these track days, but do know that an emphasis is placed on instruction of the driver coaches. All coaches will have been properly vetted so that they’re actually providing good advice. If you’ve got a Porsche, this could be a great place to start since you’re likely to find folks with direct experience with how to drive a 911, which can be unique. Within the PCA, the sky is the limit in terms of how serious you can get. The Porsche Club races are pretty well respected and bring out folks who are solid drivers with really solid cars. This is separate from HPDE events of course, but it’s not surprising that the Porsche Club is very serious about tracking their cars, whether for enthusiasts who are starting our or serious racers. There are a number of other brand-based rungroups who operate in NorCal. They generally are open to having other brands join in, so if you’re itching to do a day on a specific weekend, check with these groups as well.